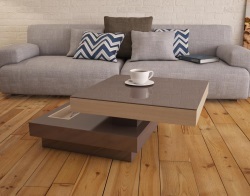 The Celia coffee table is one of the iconic pieces of our catalogue. The upper plate slides in two directions, revealing hidden and removable drawers. 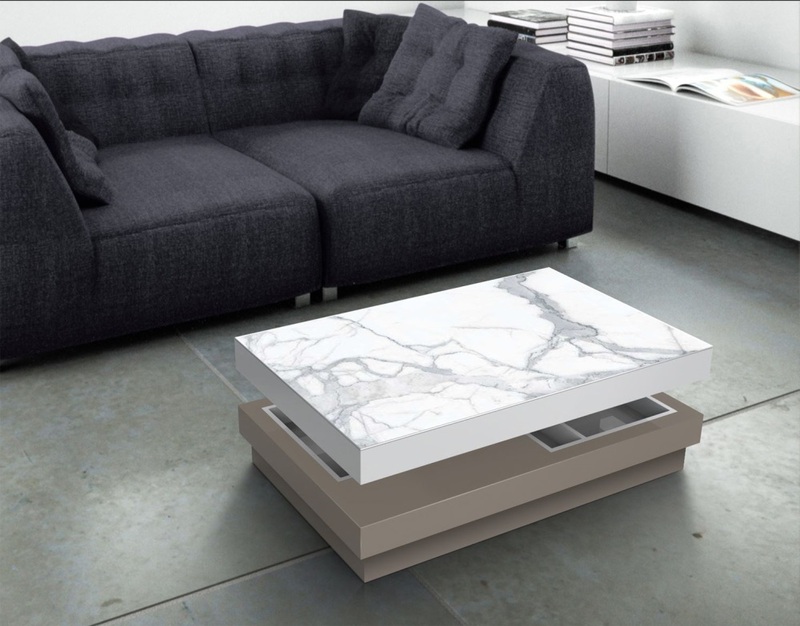 The flexible configuration of the Celia makes it a really special piece and will be sure to enhance any sitting room. The upper ceramic plate is in matt marble, a highly shock resistant and heat resistant material. The photo here shows the base in taupe.